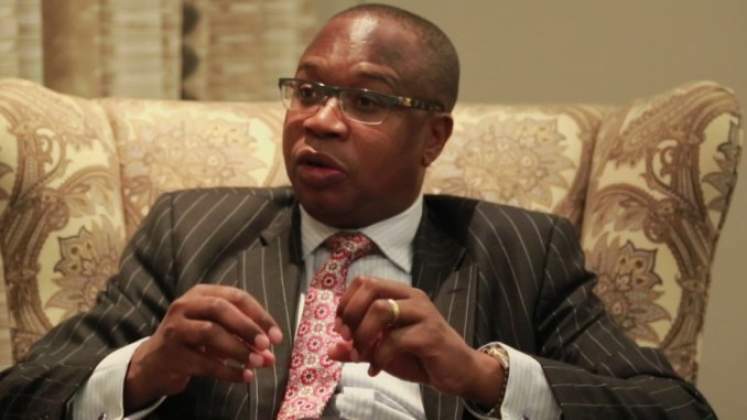 The Zimbabwe Stock Exchange (ZSE) slipped into the red unperturbed by the excitement showing across markets on the appointment of new treasury chief, Mthuli Ncube, it has emerged. Slipping into the red in Monday's session, the market opened the week on a low note as heavies dragged the indices southwards as the mainstream All Share Index and Industrials let go a similar 0,04 percent to close at 120,5 points and 405,15 points. The Top Ten Index lost 0,19 percent to settle at 124,63 points as the Mining Index was stable at 163,38 points for the third consecutive session with no trades in the sub-sector. Market loses were led by Padenga that shed 3,34 percent to close at $0,6331, with SeedCo following having fallen 1,38 percent to $2,1500 as a paltry nine shares exchanged hands in the counter. Old Mutual dropped 0,83 percent to $6,0141 as the counter broke last week's rally. Retailers OKZIM came off 0,74 percent to $0,2400 reversing the previous session's gains, closing with a firm bid at the same level. Delta sealed the shakers of the day after a 0,04 percent slip to end at a value weighted average price of $2,4990 after 46 938 shares worth $117,298.02 were traded. The top performer for the day was banking group CBZ which firmed 9,85 percent to close the session at $0,1650 in the wake of the interim dividend declaration by the group for the first half. Dairibord followed with a 3,45 percent lift to end pegged at $0,1500 while, hotelier African Sun climbed 2,29 percent to close at $0,0850. Completing the top risers of the day were Masimba and Proplastics that rose 0,97 percent and 0,94 percent to $0,0626 and $0,1070 respectively as the market closed with a positive breadth of three as eight counters rose against five fallers with eight trading at their previous prices. On Tuesday, the All Share and Industrials Indices lost a similar 0,90 percent to end pegged at 119,37 points and 401,49 points respectively, reversing gains accumulated last week. Delta, Econet and Old Mutual dragged the Top Ten Index lower for the second consecutive session, to leave the benchmark at 123,31 points, after retreating 1,06 percent. Bindura and Falcon Gold traded unchanged at $0,0616 and $0,0250 respectively to leave the resources Index stable at 163,37 points. The risers pack was comprised of penny stocks, headlined by Turnall which surged 20 percent to settle at $0,0204, trailed by Zimre Holdings that put on 17,82 percent to end at $0,0238. Wrapping the three gainers of the day was hotelier African Sun which added 3,29 percent to close at $0,0878.